Bonobos and chimpanzees share 98.7% of their DNA with humans, who hunt both for bushmeat. They are our closest living relatives. Although they look like chimpanzees, they are more upright with long legs and narrow shoulders and can walk more easily on two legs. Skeletally they are similar to Australopithecus, an early human ancestor. They have flatter faces than chimps with a higher forehead and a centre hair parting. 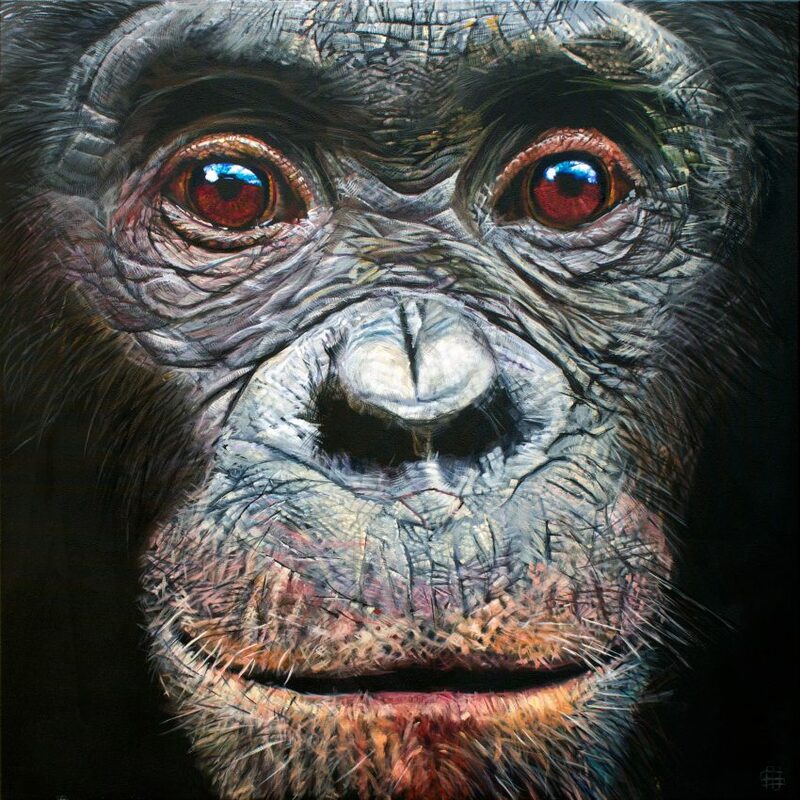 Chimpanzee society is competitive and male dominated but bonobos live harmoniously in matriarchal groups. The females are physically smaller and weaker than the males but gain power through strong alliances and bonds. Civil war in the Congo causing fragmentation of the bonobo population into isolated pockets that limit genetic diversity. Loss of habitat through illegal logging and agricultural development. Poverty has driven many people to hunt bonobos and sell their meat on the black market.